Where are you? 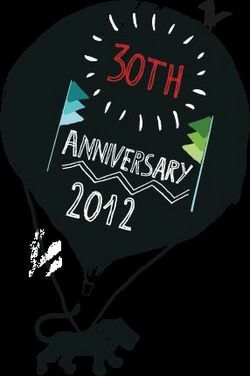 Home > News > Womad 2012 First Artists Announced - 30th Anniversary. Meanwhile, in a field in deepest Somerset, something else was afoot – the first-ever WOMAD Festival. And, like Madonna, Abba and Michael Jackson, the WOMAD name is somewhat culturally iconic. Indeed, 30 years later, the organisation is in the strongest form and rudest health it’s ever known. Ever since that first gathering in 1982, the spirit of collaboration and cross-pollination has been WOMAD’s fuel. Back then, it was Echo & The Bunnymen sharing the stage with The Drummers Of Burundi. In the three decades since, it’s always been conspicuous and, this year, that spirit takes many forms. There’s the rather awesome prospect of Robert Plant’s new project, the Sensational Space Shifters – a heady brew of blues, gospel and psychedelia inspired by the roots music of Mississippi, Appalachia, Gambia, Bristol and the foothills of Wolverhampton. Longtime WOMAD face Justin Adams lines up on lead guitar. Another Adams-associated act, the much-loved French collective Lo’Jo, will also joined the bill this July. As well as blowing out their own 30 candles this year, the collective return to treat all-comers with their hybrid of chanson, folk and Berber stylings. These Japanese ska fanatics have plenty of miles under their collective belts – as do several other seasoned performers taking to this year’s stage. The Buena Vista Social Club continue to cast sunshine on all those within earshot with their timeless melodies and unbreakable rhythms, while the sinewy blues of Malian songster Boubacar Traore never fail to enthrall and charm. WOMAD is delighted to be welcoming back those perennial Russian favourites (and former Real World recording artists) Terem Quartet whose balalaikas and accordions take us to St Petersburg and beyond. Further Eastern promise comes from the highly energetic Alaev Family. Although now resident in Israel, they unleash a torrent of Central Asian groove with songs from their native Tajikstan. Closer to home, Bristol quartet Spiro return to Charlton Park with their mesmerising, almost mathematical tunes, proving to be the missing link between English folk and contemporary composer Steve Reich. More vocal-free sounds come courtesy of Celtic fusionists Peatbog Faeries who marry an electronic sensibility with the tried-and-tested instruments of their native Scotland – fiddles, whistles, pipes… And the pipes are also calling for Narasirato, the high-octane Solomon Islands troupe. We’ll wager that you’ve never seen panpipes played so energetically. And finally, rounding off this opening artist announcement, is Norwegian singer-songwriter Ane Brun, most recently seen lending her striking vocal prowess to Peter Gabriel’s New Blood Orchestra and now stepping into her own limelight. Artists confirmed so far… Alaev Family (Tajikstan/Israel); Ane Brun (Norway); Boubacar Traore (Mali); Buena Vista Social Club (Cuba); Dizraeli and the Small Gods (UK); Grupo Fantasma (USA); Lo’Jo (France/Algeria); Joe Driscoll & Seckou Kouyate (USA/Guinea); Narasirato (Solomon Islands); Peatbog Faeries (UK); Raghu Dixit (India); Sensational Space Shifters (UK/USA/Gambia); Spiro (UK); Terem Quartet (Russia); Tokyo Ska Paradise Orchestra (Japan).